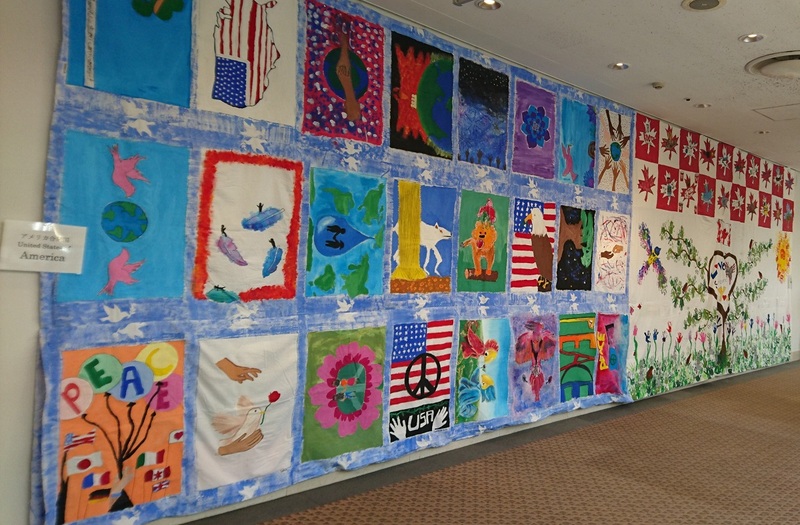 May 30 ~ Jun 30: The 4th Exhibition of the Biggest Painting in the World 2020 Haneda Airport, under the theme “Connect All the Towns in Japan, Connect All the Countries in the World”, was held at Sky Gallery, 6F, Terminal 1 of Haneda Airport. 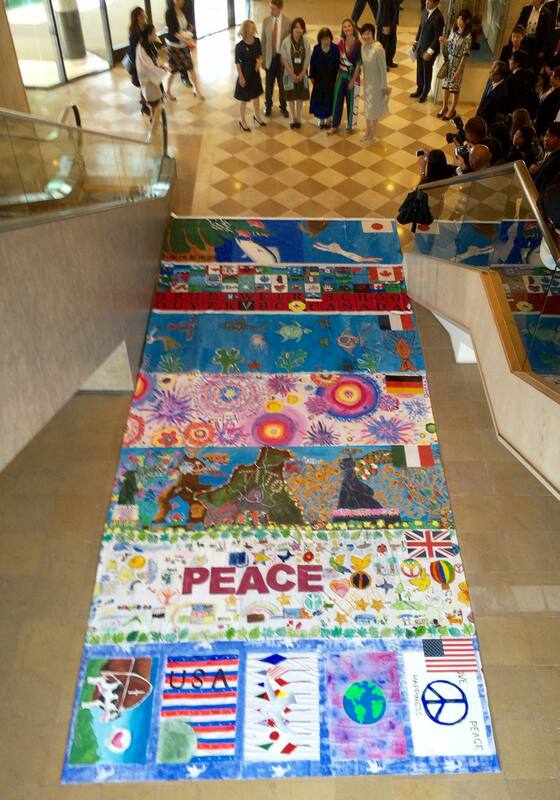 From May 30 to Jun 7, the big paintings from the United Kingdom, Italy, USA, France, German and Canada were exhibited. 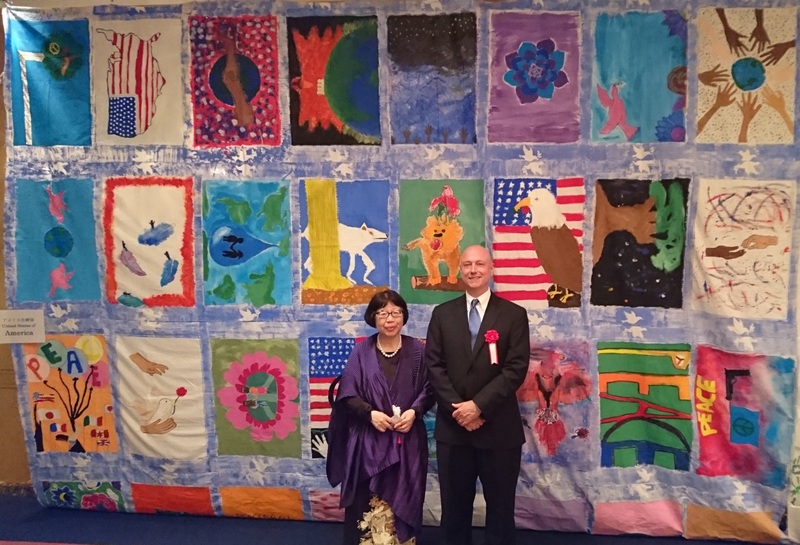 The Biggest Painting in the World 2020 USA was completed at Embassy of the United States of America in Japan. 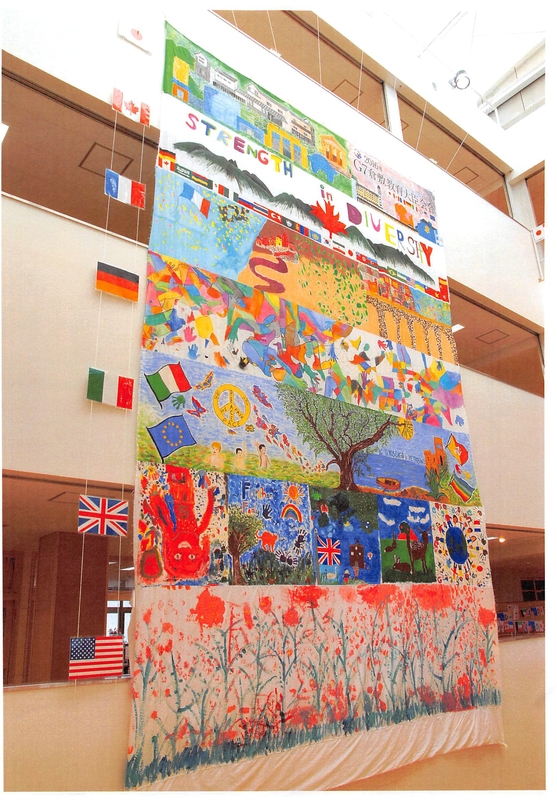 We held "The Biggest Painting in the World 2020 G7 Kurashiki Education Ministers’ Meeting in Okayama"
The Biggest Painting in the World 2020 in New Jersey was held at Asunaro International School, a kindergarten in the State of New Jersey. 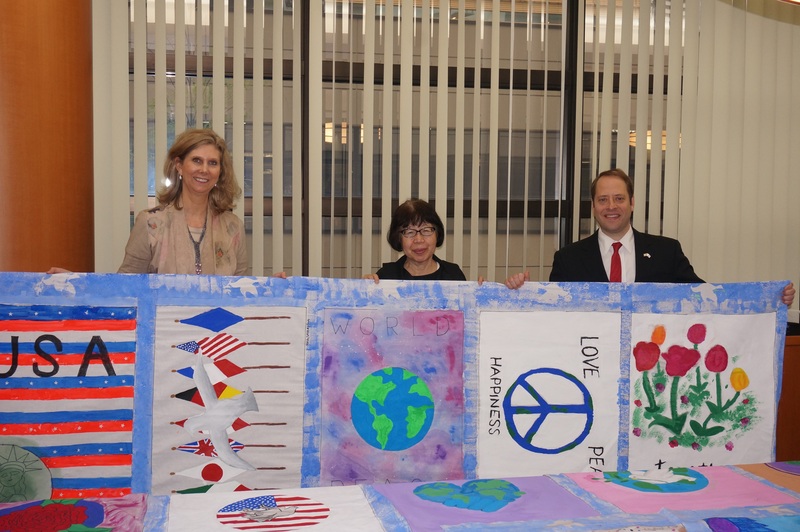 The Biggest Painting in the World 2020 in New Jersey was held at Asunaro International School, a kindergarten in the State of New Jersey. 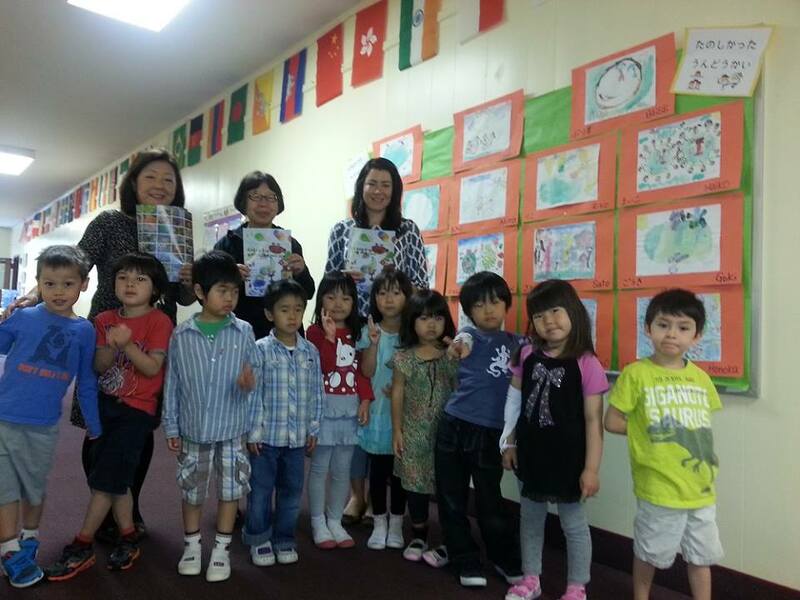 The children here study English, Japanese, Spanish and French. Visited IAAS New York Asunaro International School. Visited IAAS New York Asunaro International School. 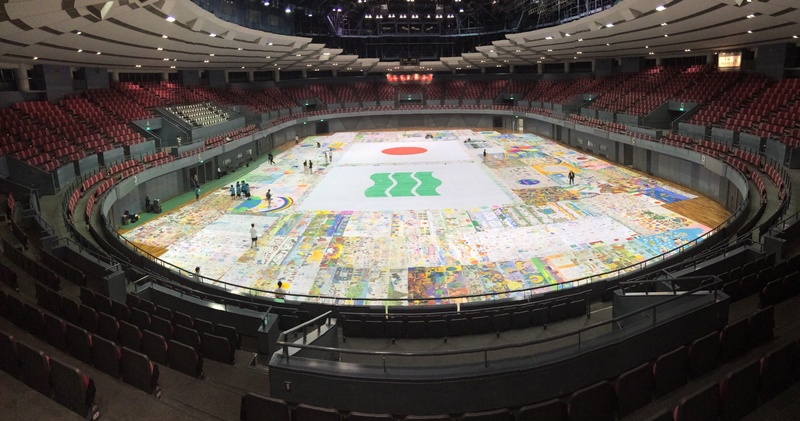 It was settled that their children will paint the Biggest Painting in the World in October.